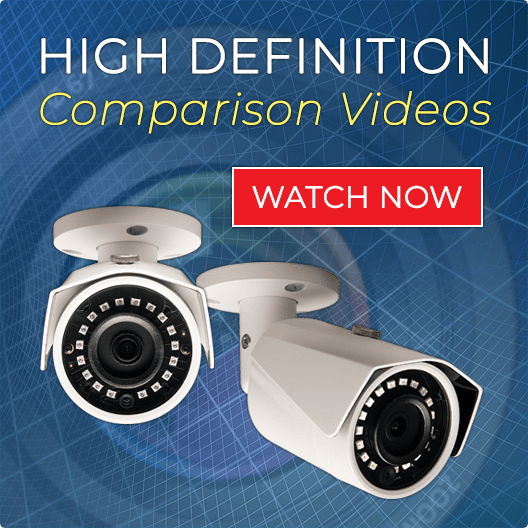 CCTV Security Pros brings you the PRO SERIES HD 8 Channel Security NVR that’s widely regarded as one of the best IP network video recorders in the industry. Equipped with some of the latest and most innovative and user-friendly features, our 8 channel network video recorder is easy to set up and use. Providing HD video of up to 4K with a convenient built-in power over ethernet, our NVR is the perfect choice for commercial-grade security solutions. Monitor your cameras on PC, Cell Phone, and Tablet Devices. In addition to the remote viewing software we provide you with our Free Cell Phone App. You simply scan a QR code and presto - your cameras and App will be on your cell phone faster than you can imagine. No complicated set up! This 8 channel security surveillance NVR comes with 2 hard drive slots for additional storage space and can hold up to 16TB of video storage. With built-in digital zoom capability, you can be assured of capturing surveillance footage in great detail from connected IP cameras. This feature is great for object identification and facial recognition. Get access to your IP cameras from anywhere with an internet connection at any time from your smartphone, PC or tablet. With our quick start guide provided with every new purchase, installing our 8 channel security NVR is quick and easy. Need help with installation? We provide live free USA technical and installation support so you can get up and running in no time. 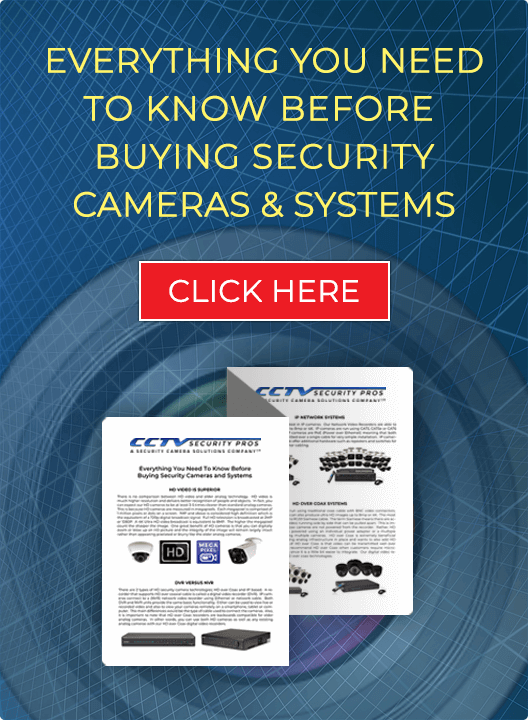 At CCTV Security Pros, we take great pride in offering the best-in-class home and business security cameras and systems. Whether you want an IP camera NVR for your office or retail store, feel free to browse through our selection of IP camera NVR recorders. We welcome you to call and speak to one of our security experts at 888.653.2288. Now that you have a great video recorder from CCTV Security Pros, you need to think about protecting your video recorder from vandalism and theft. After all, the NVR is the "brains" if the security system. It is what stores your valuable data. Some people hide their recorder and some utilize our DVR Lockbox solution.You The USB Fan is connected and powered directly from the USB port on the DVR or NVR unit. 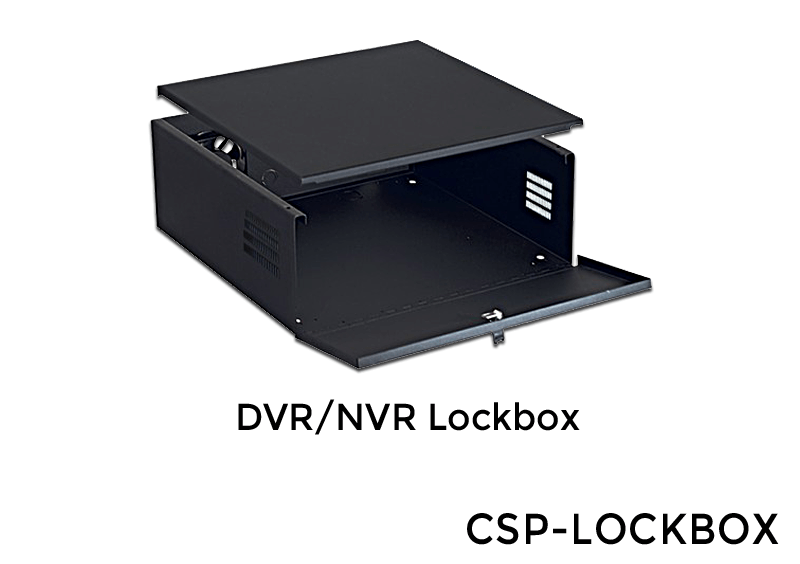 The DVR/NVR Lockbox measurements are 24" x 18" x 5". The lockbox is designed to increase the longevity of your unit. "This is a great recorder. I am very happy with all of your products." "Night and day compared to my old recorder. IP Systems are very easy to set up and the quality is unsurpassed." "This is a great product. I really like the 2 hard drive spaces as I do need long storage times." "Your Quick Start Guide made set up a breeze. I had a couple questions for tech and they were easy to work with. I really appreciate your products and support." "Great set up directions - in ENGLISH!" "I really like your products and really enjoy this NVR. I use your app on my cell phone daily and it is just awesome." "Exactly what the doctor ordered! Nice unit. Satisfied Customer!!!" "Excellent APP, excellent PSS software - been in the business 20 years. This company definitely makes the best products." "Happy with the recorder and happy about the way the company incentives customers to buy more with specials." So far this is a really nice unit. Easy to use and setup, small, and, like everything else I have gotten from CCTV Security Pros, very reliable. Very good to set up and works good. great unit. Works flawlessly with your cameras and finds them automatically on the network. Easy as pie. Big Thumbs Up! using right now at the office. simple and easy to use. functions work great. set it up with the mouse. used qr code for fast remote viewing on my iPhone. i would say this is about the best quality unit I have had over the last 10 years. thanks. We really like your system especially this recorder. It was so easy to set up and the cameras were great also. Thank you CCTV Pros. Easy to set up - plug and play. It found the cameras on the network and made things really easy for set up. My other IP cameras worked perfect with it as well. Like the unit a lot. I would like to know if there is a better way to communicate thru my intercom at the main gate. I will call you guys in a day or two. I never knew how in depth this recorder could go. All the information is online and being able to run 4k cameras with outstanding resolution!